Since 1989, the Kitchen & Bath Industry Hall of Fame has honored individuals who have contributed to the growth and professionalism of the Association and the kitchen and bath industry as a whole. Inductees are selected by a standing program committee through member nominations. Below is a list of current and past Hall of Fame inductees. Nominate a professional for the Kitchen & Bath Industry Hall of Fame. Louis, owner and CEO of Laser Product Industries, is an inventor and businessman who has developed precise laser measuring systems that make it fast, easy and affordable for any size manufacturer of kitchen cabinets and countertops to fabricate high-quality products. Louis, who holds numerous patents for his inventions, created a laser system that allows cabinet and countertop companies to document and measure jobs, add jobsite details and generate estimates. The system automatically translates the data points into a 2S or 3D file that can be approved on-site by the customer, or emailed to the shop for fabrication. It’s easy to use and fast to learn, and has been designed to interface with all leading cabinet and countertop design programs as well. Louis’ company won the 2017 AWFS Visionary Award for Productivity and Innovation. Over 80 percent of U.S. countertop fabricators who use digital templating own an LPI product. Water conservationist Gunnar Baldwin joined TOTO in 1990, when the Japanese-based manufacturer opened its American subsidiary, and has served in numerous roles at the company. Now a consulting Water Efficiency Specialist, he has represented TOTO on several green building committees, including the first U.S. Green Building Council water efficiency technical advisory group, and was a charter director of the Alliance for Water Efficiency. Starting in the Seventies, he pioneered the first code-approved low-consumption toilet to reduce the environmental impact of wastewater, and has lobbied for incentives for water conservation for 15 years. During the past seven years, Baldwin has trumpeted Universal Design, encouraging socially and environmentally sustainable strategies to become standard best practices in all design. He is a Certified Living in Place Professional, serving on the CLIPP advisory panel, and a member-employee of LEED, Leadership in Energy and Environmental Design. In 1979, after Paco Cosentino joined his family’s small marble and stone processing business, begun in 1940 in the small town of Macael in Almería, Spain, he transformed the company into a global leader in surface materials for architecture and interior design. In 1990, he masterminded Silestone Natural Quartz, developing more than 120 colors and revolutionizing the use of innovative, high-performance surfaces and keeping up with evolving design trends. Cosentino led the group’s development of Dekton, the first ultra-compact, ultra-resilient surfacing material suitable for both indoor and outdoor applications. This latest product advancement brought a new category to the market, breaking established rules and limitations of traditional countertop and surfacing materials. Besides product innovations, Cosentino has also transformed the business via marketing and customer service, opening a network of design centers around the world that increased access to products and minimized delivery times. Jean Mignault is the Founder, Executive Chairman of the Board, and Chief of Strategic Direction for 20-20 Technologies, Inc. Mignault founded the company in 1987, introducing an alternative to pen and paper, improving efficiency through his revolutionary design software, and forever changing the way contemporary designers work. In creating the professional software that is now considered an industry standard and continuing to build on the products offered by 20-20 Technologies, Inc., Mignault has left an indelible imprint on the kitchen and bath industry, along with the interior design and furniture manufacturing industries. His contributions have forever opened the door to a new level of innovation. Watch a video of Jean Mignault. 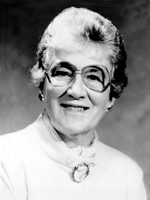 Charlotte Breidenstein served on the staff of the National Kitchen & Bath Association for 28 years, offering contributions in what was formerly known as the Societies Department, equivalent to the present day Certifications Department. In addition, Breidenstein helped develop the Conference Department and Education Department, as well as the Governance Department, where she spent the final years of her employment as Manager, before retiring at the start of 2012. Breidenstein helped define the organization’s governance procedures, and, as a 28-year veteran employee of the NKBA, holds the longest term of employment in staff history. 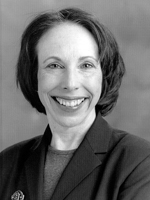 Learn more about Charlotte Breidenstein. Surjit Kalsi is chairman of Capital Cooking Equipment, and is credited with having changed the face of the appliance industry. He began his career more than 50 years ago as a design engineer, and through innovative-thinking and tenacity, he introduced the concept of commercial quality ranges for residential use, as well as developing the world’s first all-stainless steel outdoor barbecue line. 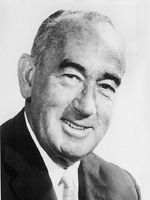 His impressive contributions to the industry include the invention of the world’s first pyrolytic self-cleaning oven, the low input natural gas pilot, the universal gas burner, retention flame burner and the first dual flow gas burner. Today, he is considered one of the foremost experts in cooking range design and manufacturing. Watch a video of Surjit Kalsi. Kenneth founded TASK Lighting Corporation in 1985. This was based on his own frustration over the lack of incandescent under-cabinet lighting in the kitchen and bath industry. Luche was the trade name for the company’s first lighting system, and it remains one of the mainstays for the firm today. Over the years, other concepts have evolved, earning Anderson three patents. Today, TASK remains a groundbreaking force in incandescent, LED, and fluorescent lighting concepts. Nationally-conducted seminars are hosted by TASK to instruct designers on how to integrate lighting into their total design. Mr. Anderson has taught more than 100 TASK seminars, in addition to speaking at the NKBA’s Kitchen & Bath Industry Show (K/BIS) educational courses. 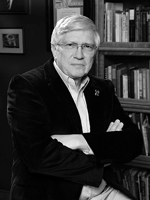 He has won multiple national design awards and held various NKBA leadership positions. 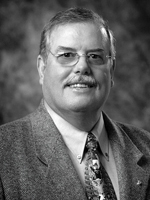 Mr. Anderson has also served on the NKBA’s Board of Governors of Manufacturers and the K/BIS Ad Hoc Committee. Watch a video of Kenneth Anderson. James J. Bakke is President and CEO of Sub-Zero, Inc. and Wolf Appliance, Inc. He is the third-generation in Bakke-family leadership of the refrigeration innovator, Sub-Zero, which was founded in 1945. Spending ten years in various positions in the business, he was named President in 1990 and CEO in 1992. He was instrumental in introducing the new built-in refrigeration line, the integrated 700 Series, and the new line of beautiful and functional wine storage. 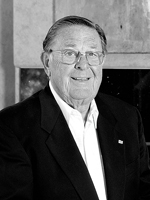 With the acquisition of Wolf Gourmet in 2000, Mr. Bakke brought the Wolf cooking line into the corporate family, expanding the line of ranges, cooktops, and ovens, while raising recognition to equal Sub-Zero. He was recently honored by Builder magazine for his 30 years of innovation in the industry. Watch a video of James Bakke. An author, speaker and instructor for the NKBA, Ms. Peterson is the owner of Connecticut-based design practice, Mary Jo Peterson, Inc.; where her focus is residential and commercial building projects in the New England region. She has worked with national builders and product manufacturers on staff training and design of spaces and products, incorporating universal concepts. Her design work has won national recognition from the NKBA, the NAHB 50+ Housing Council, the National Endowment for the Arts, the Building Sciences Museum, AIA, Easter Seals, and Century 21 in the Easy Access Housing Awards for excellence in universal design. Ms. Peterson actively promotes change and education toward the integration of access, sustainability, and beautiful design. Watch a video of Mary Jo Peterson. 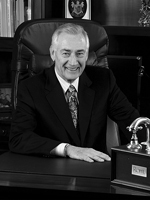 David’s introduction to the kitchen and bath industry came in 1970, managing a building products distributor. In 1986, he became the director of training for the National Kitchen & Bath Association, teaching the three-day Kitchen Specialist Training School and teaching the Bath Design course. David left the NKBA in 1989 to begin David Newton and Associates, but continued to teach and develop NKBA training programs. David was one of the first trainers in the kitchen and bath industry to incorporate PowerPoint-style presentations and also introduced Kitchen and Bath CAD training into his design courses. David developed or co-developed ten of the programs presented by NKBA during 2007, as well as six of the new NKBA web-based seminars. He co-authored Kitchen and Bath Drawing, part of the NKBA Professional Resource Library. The “Kitchen and Bath Business Exam Tips” column, written by David, appears regularly in Profiles Magazine, the NKBA’s quarterly publication. 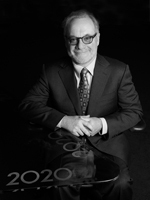 Kenneth S. Rohl is Chief Executive Officer of ROHL Corporation, a marketer of high-end kitchen and bath products. Ken began his company as Western States Manufacturing in 1983, introducing the pull-out kitchen faucet to the U.S. The company was renamed ROHL in 1991 and its products are now featured in more than 900 luxury showrooms across the U.S. The company has supplied more than 300,000 pull-out faucets to the U.S. market. The ROHL product line continues to grow far beyond the original pull-out faucet. It now includes a wide range of top quality faucets and fixtures. Ken has also directly contributed to the National Kitchen & Bath Association in a number of capacities, including serving as a member of the Board of Directors, National Strategic Planning Group, National Manufacturer’s Representatives Council and NKBA Ambassador’s Club, as well as serving as the vice president of the Southern California Chapter for six years. Eliot Sefrin is the founding editor of Kitchen & Bath Design News, which has now served kitchen and bath trade professionals for 25 years. 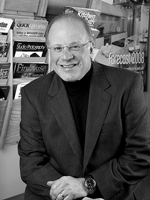 He was given the dual title of editorial director and publisher in 1994, and has also served as group publisher for KBDN’s parent company, Cygnus Business Media, with oversight responsibilities for KBDN’s sister magazines Qualified Remodeler, Residential Design/Build and Surface Fabrication. KBDN has helped shape, define and educate a maturing kitchen and bath industry marked by growth, new forms of competition and an increased fashion emphasis. In the process, the magazine has helped raise the professionalism and profitability of its 50,000 monthly readers. In partnership with the NKBA, KBDN also co-produced the highly successful “Designing for Profit,” “Profitable Showroom Design” and “Pathways to Profit” seminars aimed at delivering education to kitchen and bath professionals in key metropolitan markets. Donald O’Connor became an American citizen in 1954. Originally a native of London, England, O’Connor holds both a Bachelor’s and Master’s Degree in Industrial Design from Syracuse University. Since 1973, he has been the Director of Sales and Design Training for Wood-Mode, the maker of fine custom cabinetry. During that time, O’Connor has taught nearly 800 classes, educating more than 12,700 kitchen and bath professionals, helping to increase their level of expertise. He has also been a key component to updating the knowledge of the industry itself. O’Connor has contributed to various industry resource materials, including the NKBA technical manuals, college textbooks and consumer and trade publications. 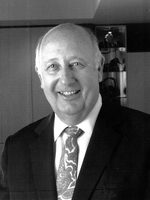 Lothar C. Birkenfeld is a fixture in the luxury kitchen furniture field. Birkenfeld combines his extensive knowledge in engineering and design in his role as President of Poggenpohl, U.S., a leader in the manufacturing and design of high-performance luxury European kitchens. Over the past 10 years at Poggenpohl, Lothar has expanded the company by opening signature company-owned retail studios as well as independently-owned dealer studios. During his presidency, he has exceeded the company’s sales volume over ten times and has also opened ten new Poggenpohl flagship showrooms across the U.S. Birkenfeld was one of the first to bring European manufactured kitchens to North America. Through his influence, “European cabinetry” became a coined phrase and industry standard in American kitchen design. Thompson C. Price, CKD, CBD, is one of the founders of the Bath & Kitchen Buying Group, the industry’s only member-owned buying group. In 1978, he started Thompson’s House of Kitchens and Baths, which merged into Callier & Thompson Kitchens, Baths and Appliances in 1995. 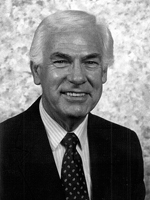 Price held a seat on the NKBA Board of Directors for 10 years and served as President in 1990. Don and Kasnea Martin created Kasmar Publications, publishers of Designer Kitchens & Bath, Designer Baths, The Kitchen Collection and Kitchens magazines. After attending their first industry conference in 1979, they bought the magazine, Appliance and Kitchen Retailing. Just six years later, the Martins were publishing several successful West Coast-based trade journals, many of which continue to appear in print today. 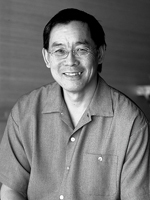 Fu-Tung Cheng founded Cheng Design in 1978. Cheng quickly built a reputation for innovative kitchen and bath design. Since then, Cheng Design has evolved into a custom home and commercial product design firm. The firm has reinvented the traditional kitchen and bathroom by using concrete as a sculptural element and incorporating the aesthetics of nature. In 1998, Cheng Design Products, Inc. was launched in order to introduce the Cheng Design aesthetic to a broader market. The Cheng Concrete Exchange, an online channel for all topics, products and information related to interior concrete use, was created in 2003. The Exchange also offers workshops and programs for participants to gain hands-on experience in underlying techniques and design principles. 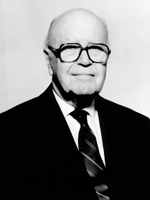 Roger H. Clausen founded VT Industries in 1956. 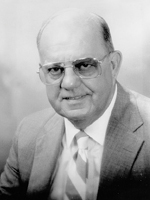 He pioneered a unique form of countertop, post-formed, decorative laminate, which has become a leader in the industry, providing customers with an affordable, high-quality constructed surface that enables installers and even homeowners to complete kitchens and baths with speed and reliability that was never possible before. 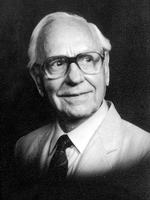 Clausen is also credited with many fundamental engineering concepts that further enabled the industry. Ken Krengel started working as a teenager with his father’s business, Kitchens by Krengel. After leaving to pursue his invention of saucer baskets for Disk Golf and other interests, Krengel quickly realized that his true passions and talents were with the kitchen and bathroom industry. He founded Design Plus in 1981 and joined Wood-Mode Fine Custom Cabinetry in 1987. Krengel continues to work in the kitchen and bath industry as a Manufacturer’s Representative for Wood-Mode. 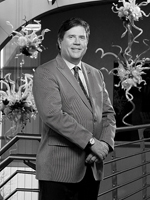 Hank Darlington has a nationally recognized business and has received numerous national awards. In addition to service on NKBA committees, Darlington has been an NKBA Professional Instructor for more than a decade. He is the author of NKBA’s book, The Complete Business Management Guide, as well as his own book, Professional Management for Kitchen and Bath Dealers. Tony & Michael Joseph, owners of Dacor in Diamond Bar, Calif., have taken the industry one step further by creating new patents for kitchen appliances. Those creations include a dual-fuel oven cell and a 30-inch-wide dishwasher, which remain highly innovative and unreplicated to this day. 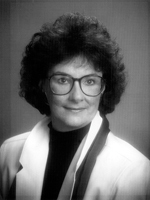 Dr. Phyllis Markussen became the first Certified Kitchen and Bath Educator (CKE, CBE) in 1995. She is the key to the growth and success of the NKBA Endorsed College Program at the University of Nebraska at Kearney. Her compassion for the industry, combined with her enthusiasm for teaching and involvement with the NKBA, continues to expose students to future job opportunities nationwide. Many of her graduating students enter the kitchen and bath industry and a few have achieved local or national leadership positions with the NKBA. John Achey founded Plain N’ Fancy Kitchens in his garage in Schaefferstown, Pa. more than 30 years ago. Achey developed countless cabinets with innovative and exciting features from storage options to interior fittings while experimenting with new materials and finishes. He was one of the first manufacturers to develop custom kitchen cabinets affordable to virtually all homeowners. Achey, who died in June 2002, will be remembered as a fine craftsman and leading innovator. 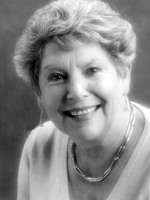 Judith Mary Bark has made significant contributions to the kitchen and bath industry in New Zealand for more than 20 years. 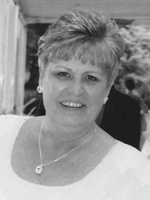 As an industry pioneer, she was involved in founding a New Zealand division of the NKBA in 1982. She organized the Certified Designers Society of New Zealand and adapted NKBA’s technical materials to New Zealand manuals. 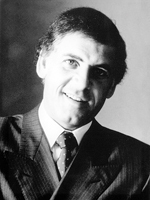 Bark is a frequent speaker throughout New Zealand and even presented a seminar at KBIS in 1989. 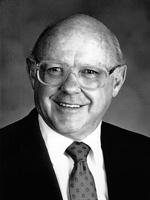 James W. Krengel owned a kitchen and bath dealership in St. Paul, earning his CKD in 1976 and CBD in 1989. 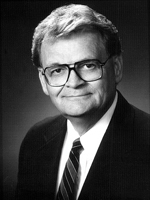 Krengel helped start the NKBA Minnesota chapter and served as NKBA president in 1989. Krengel is the author of two design books, Kitchens: Lifestyles and Design and Bathrooms. He also developed the first ever bathroom and kitchen CD, each containing over 250 pages of ideas, articles and portfolios. Krengel was also instrumental in forming and expanding NKBA Endorsed Programs. 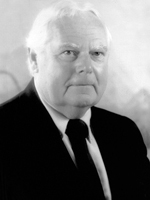 Ronald L. Mace, FAIA, was an internationally recognized architect, educator and product designer. 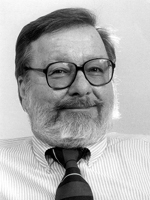 He was most well-known for sharing his vision of an “accessible world” with colleagues and designers all over the world. Mace wanted everyone to have an opportunity to live and work comfortable, regardless of physical limitations. Mace coined the term “universal design.” In 1992, Mace received an award from President Bill Clinton for “distinguished service in promoting dignity, equality, independence and employment of people with disabilities.” Mace passed away in 1998, a week after the first-ever conference on “Designing for the 21st Century,” which was attended by more than 400 participants from over 20 countries. 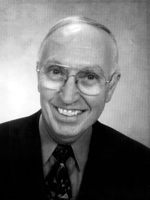 Joseph Boarman started his own kitchen business in 1952. In 1976, Boarman began The Boarman School of Kitchen & Bath Specialists, conducting design and sales seminars throughout the United States, Canada and Europe. He later developed video programs on sales motivation and perspective drawing. Currently, Boarman is an adjunct professor of kitchen design at Indiana University and Purdue University in Indianapolis. 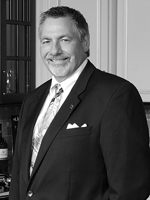 Gary Sheffield, CKD, has been involved in the kitchen and bath industry for over 40 years. Sheffield ran a successful cabinet manufacturing company and was a key player in the establishment of a dealer organization throughout the western United States. He was also one of the first certified kitchen designers in the west and helped found the Mountain States Chapter of NKBA in 1973. 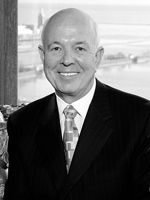 Sheffield served on the NKBA Board of Directors for 18 years and was president of the Association in 1992. 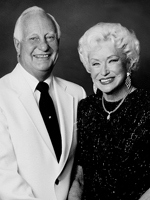 B. Leslie Hart has made a significant contribution to the kitchen and bath industry through her magazine editorials. Hart recognized the growth of the bath segment of the business and its importance to kitchen dealers, and renamed Kitchen Business magazine to Kitchen & Bath Business, expanding coverage and encouraging kitchen dealers and industry professionals to diversify. She also encouraged professionalism in the industry and made an effort to communicate that professionalism to the general public. 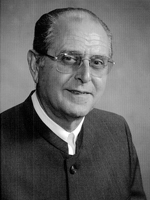 Norman Hahn founded Conestoga Wood Specialties Corporation in 1964. The concept of outsourcing the most complex component of a cabinet, namely the doors and drawer fronts, to maximize a cabinet manufacturer’s efficiency was new and innovative. This allowed Conestoga the ability to grow their business and has been one of their most significant contributions to the kitchen and bathroom industry. In 1976, Joseph Hochberg had been in business for 17 years and was one of the first people in the industry to recognize a new design trend brought into this country by the Europeans. He created this new trend by blending the contemporary European look with a softer look that would have more appeal to the American public. Hochberg developed a complete line of curved cabinets that gave the kitchen designer the ability to design a totally curved kitchen with the same freedom they were used to with square cabinets. He created what is still the longest line of curved cabinets available and coined the term “curvilinear” to explain his designs. Realizing that there were no luxury medicine cabinets made in America, Bernard Meyers felt there was a need for better designed, upscale products and that a market for such a product could be developed. He began to manufacture upscale medicine cabinets and lighting. 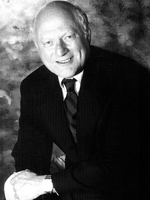 Bernie relied on kitchen and bath dealers and designers for crucial input into product development. Since 1968, his mission to provide the best designed cabinet propelled his company, Robern, into constantly upgrading its product offerings to develop products that were not only beautiful, but functional and practical too. Robern’s modular approach to bathroom storage, as well as its defogging mirror door, interior electric outlets and vertically stacked mirrored cabinets, were all industry firsts. 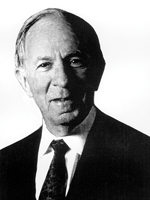 Ronald Ringenberg was an important player in the early development of the Association of Kitchen and bath Dealers (AIKD), now NKBA. 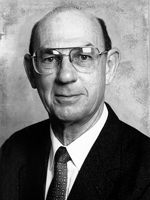 He was a member of the original AIKD committee and was instrumental in starting the CKD program. He was also involved in the original judging of the early CKD Exams. 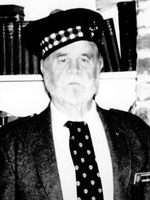 Ronalds’s involvement was critical in forming the Indiana Chapter of AIKD. 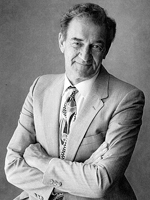 In March 1980, he was presented with The Kitchen & Bath Industry Distinguished Service Award by Kitchen Business Magazine. 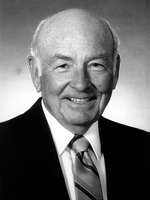 Dr. Donald H. Slocum is the inventor of the first “Solid Surface” product, DuPont’s Corian, and has been called the “Father of the Solid Surface Industry.” Dr. Slocum has over 40 patents. His latest patents for new and improved counter tops are now being introduced into the market, showing his ongoing interest and participation in the industry. This one invention has made a major contribution to the kitchen and bath industry with a product that continues to grow in recognition, use and market volume as an important item in the kitchen, bath, and home. 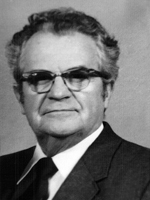 In 1957, William Beemer was hired as a representative for Wood-Metal Industries (now Wood-Mode). 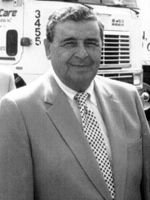 Covering Indiana, Illinois and Michigan, Beemer helped bring Wood-Mode to the midwest. It was during this time that he also became involved with the NKBA, forming the Chicago Midwest Chapter. Beemer also served the NKBA on a national level on the Council of Manufacturers’ Representatives. 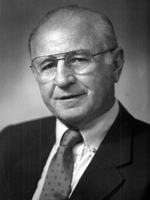 Joseph F. Fehn established Scioto Kitchen Sales in Ohio in 1961. An active member of the Association, he was a founding father of the NKBA Central Ohio Chapter and was their first Certified Kitchen Designer. He also helped to develop the solid surface market in central Ohio in the 1970s with the introduction of DuPont Corian to that area. Throughout her career, Martha Kerr has been dedicated to the betterment of the kitchen/bathroom industry. She assisted in the development of the Certified Bathroom Designer program and was the first individual ever to receive that certification. She also worked on the development of the Bathroom Industry Technical Manuals. 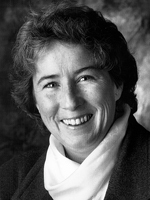 Martha was the first woman elected president of the NKBA. She continues to serve the industry as an NKBA teaching professional. 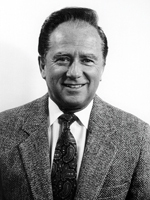 A pioneer in the areas of cabinet design and production, Louis Lestorti, Sr., began Les-Care Kitchens in 1945. Throughout his career, he implemented several ideas that have become standards in the industry. He introduced high-pressure laminate into kitchen cabinetry and established frameless construction techniques for domestic cabinetry. 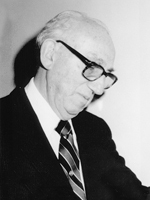 Through Lestorti’s leadership, Les-Care Kitchens became one of the largest kitchen cabinet manufacturers. 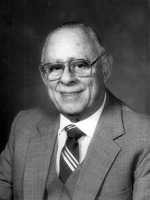 Arthur Shapiro served the kitchen/bathroom industry as a successful distributor, manufacturer and manufacturer’s representative. In 1958, Shapiro became the first Kitchen Kompact stocking distributor in the United States. He went on to open three retail operations called Scotch Shops, thus becoming one of the first wholesale-retail distributors. In the mid-1960s, Shapiro became a manufacturer of stock laminated cabinets and pioneered the “box and door” concept of shipping one case with separate door styles, which many manufactures have since adopted. 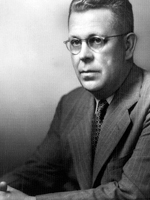 Percy Spencer joined Raytheon in 1925 and eventually headed their Microwave and Power Tube Division for 17 years. While testing a microwave device used by radar, a candy bar in Spencer’s pocket began to melt. Curious about this discovery, he decided to experiment. In 1947, Raytheon introduced the world’s first microwave oven, the Radarange. In 1965, with Spencer’s microwave oven as an attraction, Raytheon acquired Amana. With Spencer’s help, Amana developed and marketed a successful 110-volt, kitchen countertop unit and the microwave revolution began. 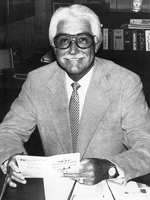 Fred Carl, Jr., of Viking Range Corporation, developed the first line of heavy-duty, commercial-grade, restaurant-style ranges for residential use. Viking ranges feature “zero clearance” to cabinets and back walls as well as other convenience and safety features which make them suitable for home use. The influence of Viking Ranges can be seen in the trend toward the “commercial look” in residential kitchens. In the early 1940s, Denvil F. Chandler began a part-time business called Denvil F. Chandler Fabricating Plywood Products. The part-time venture was turned into a full-fledged business in 1944. Chandler manufactured many different styles of wood cabinets and helped pioneer plastic top usage. 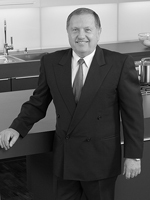 For more than 40 years, Robert E. Crowl, CKD, has served the kitchen and bathroom industry. 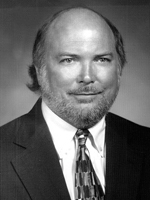 During that time, he was active in the NKBA, founding the Iowa/Nebraska/Kansas Chapter of the Association in 1977 and also holding several offices in the chapter. He shared his kitchen design knowledge with students at the University of Nebraska in addition to conducting seminars for community groups. 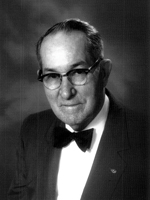 Miles Woodall, Jr., is considered a pioneer in the kitchen ventilation industry. 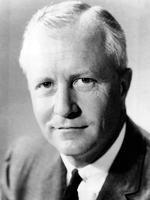 His company, Vent-A-Hood, developed the “Magic Lung” squirrel cage blower system, the first of many early distributors to set up showrooms with inventories and to recruit office staff and installation specialists. He often financed the start up of these businesses and today, many of them continue to operate as leading Vent-A-Hood distributors. 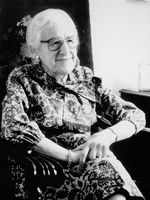 Arthur Wenger founded Quaker Maid in 1950 and remained its president until 1970. Wenger was committed to innovative style, construction and manufacturing techniques and often lead the industry in establishing new trends. Many of these trends, such as patented spin-it cabinets and over-the-toilet bath hutches, have become industry standards. Founder of Kitchen Kompact, Inc., W. Dwight Gahm created one of the fastest growing and most successful companies in the industry. Under his leadership, Kitchen Kompact, Inc. grew from a local cabinet shop into a modern 600,000 square foot manufacturing facility. Gahm accomplished this by using assembly line techniques, strict quality standards and incentive and profit sharing programs. 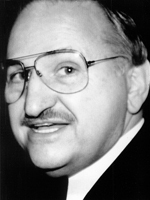 Now deceased, Raymond Martino, Jr. had a career that spanned more than 40 years. During that time, he built a successful dealer organization, aided in the development of design and product trends and was a leader in devising creative sales and design strategies. As an Association supporter, he was also one of the first to become a Certified Kitchen Designer. 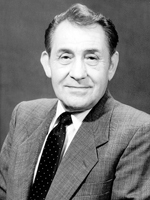 Inventor Alfred Moen developed the first single-handle washerless mixing faucet in 1937. Today, over 40 percent of American homes have the single-handle faucets, considered a standard in the industry. Moen, who retired from Moen, Inc. in 1982, is holder of 75 patents, most of which are related to enhancements in plumbing products. 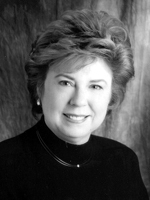 Well-known for her command of the kitchen and bathroom industry, Ellen M. Cheever authored textbooks and courses used by the NKBA to train industry professionals. Under her leadership, important research into kitchen/bathroom planning was conducted, and the industry’s technical manuals were created and/or revised. 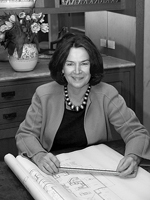 Cheever has shared her many successes and broad-based knowledge with designers the world over, and enjoys great renown in the kitchen/bathroom industry both in America and abroad. As the first Executive Director of the Association of Kitchen and bath Dealers (AIKD; now NKBA), Klaus Paradies was instrumental in helping to set direction for the new organization. 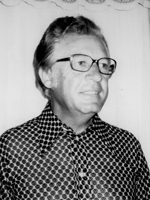 His ingenuity and foresight led to the development of training schools and the NKBA Design Competition. He was a creative dreamer who helped keep alive the hopes, aspirations and drive of Association founders in many difficult times. Richard Chapman began selling kitchen cabinets in 1922 as a door-to-door salesman. In 1926, he began his 53-year long affiliation with Mutschler Brothers. Through his efforts, the firm’s distributor network was established, and several Mutschler assembly plants were launched across the country. 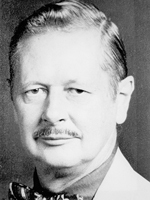 He further served the industry as a founder and the first president of the National Kitchen Cabinet Association (now KCMA). 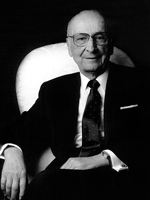 Allan Dresner was involved with the NKBA from its inception, and even provided a place for the founders to conduct their meetings. Acknowledging the importance of education, he organized one of the first distributor-sponsored training schools for new dealers and salespeople. When NKBA (then AIKD) instituted its industry schools, Dresner helped the Association develop programs, and also conducted a number of NKBA-sponsored schools for distributors. He is a Certified Kitchen Designer and was a charter member of NKBA’s Council of Wholesale Distributors. Leon Johnson began specializing in kitchen design and remodeling in the early 1950s and, later that decade, initiated periodic meetings of Boston-area kitchen and bath designers for the purpose of improving their mutual effectiveness in the local market area. 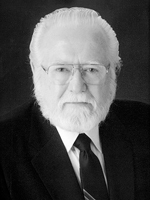 He was a strong supporter of the establishment of AIKD, and helped organize NKBA’s Northern New England Chapter. Leon became the 15th Certified Kitchen Designer recognized by the Association, and served on the council of Societies Board of Governors for a number of years. His support for AIKD/NKBA and the Northern New England Chapter has been strong over the years, and he is recognized as an outstanding leader by many of his chapter members. 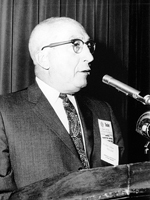 In 1929, Alex Manoogian founded a screw machine business-a tiny enterprise which grew to become the kitchen/bathroom industry giant we know today as Masco Corporation. While his company was successful, its true turning point came in 1935 when Masco diversified into the faucet manufacturing business. 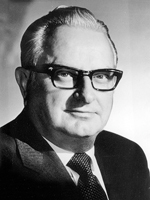 In 1954, he obtained product rights and introduced the single handle faucet under the Delta Faucet name. Masco is now the world’s largest faucet producer. Today, Manoogian’s firm produces many kitchen/bathroom industry products including decorative plumbing and hardware, fixtures, appliances, cabinets, furniture, fabrics, lamps, mirrors and accessories. 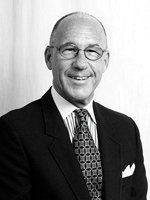 As the fifth president of the NKBA, Marvin Weisberger led the Association for three years, from 1969-1972, the longest term held by any NKBA president. He provided enlightened leadership, with grace and good humor, and won the respect of everyone on the Board of Directors who served during his term. Under his guidance, many programs and services which serve the industry today were initiated. Rich Bailey first brought the idea of the trash compactor to our industry in the mid 1950s with the development of a water hydraulic unit. His water-powered model, which fit in an 18-inch base cabinet, appeared in the 1960 edition of Better Homes & Gardens Kitchen Ideas. 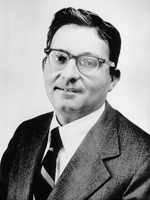 In 1961, he developed a 12-inch wide electric hydraulic unit. 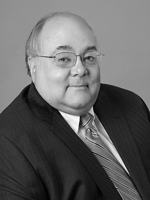 Long-standing member of the NKBA, Robert A. Cuccaro was active in the formation of the NKBA Northern New England Chapter. 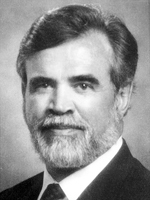 He served on the NKBA Board of Directors from 1972 to 1989, helped organize the Council of Manufacturers’ Representatives, and served as that council’s Vice President for three years from 1985 to 1987. In 1946, Orville and Ruth Merillat started Merillat Woodworking Co. in a 2,400 square foot building next to their Adrian, Mich. home. Over the years, the company, which became Merillat Industries in 1971, expanded to become the largest firm in the kitchen cabinet industry. 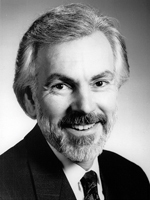 An original founder of AIKD, Robert L. Wieland has been an active member of the Association’s Board of Directors since the beginning, and was the second president. 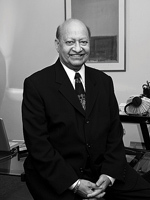 Recognized as the first Certified Kitchen Designer, he served as Chairman of the Society of Certified Kitchen Designers from its inception in 1967 to 1976. 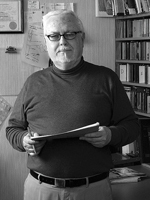 Wieland has demonstrated design excellence throughout his career, having won 34 national design awards, including the 1990 James Foster Memorial Award. Additionally, he spearheaded the program to create the Kitchen Industry Technical Manuals in cooperation with the University of Illinois. 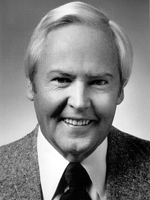 A founding shareholder and former director of Ralph Wilson Plastics Co., Dr. Ralph Wilson, Jr. encouraged the development of new plastic laminate products, which have contributed to the creative license of kitchen and bathroom design. He also established WILSONART’s two-week order fulfillment system. In July 1974, for the first time in its history, AIKD went into black ink. This was a direct result of Afflerbach’s feet-on-the-ground management as Executive Director. 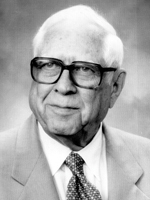 Afflerbach brought excellence and organization to the educational program. He was tireless in his efforts to promote the best interests of the Association. 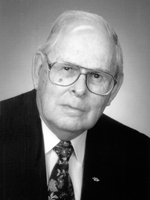 One of AIKD’s strongest supporters from the beginning, Frank Berg was ubiquitous. He attended meetings of any chapters within 100 miles of his New Jersey home and assisted in the formation of many of them. Berg has been a vice president, secretary and treasurer and, as a member of the board of directors, was one of the hardest working on any committee that needed him. In the early days of the industry, all “sinktop” manufactures were do-it-yourselfers, making tools and equipment as needed to get the job done. He developed the Bechtold Roll-a-matic postforming machine, for the first time bringing true quality control and uniformity to the postforming process. This led directly to the general acceptance by the public of postformed countertops. 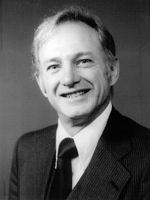 The first president of AIKD, H. Dean Church sold his business and retired about 20 years ago and hasn’t been heard from since. His unbounded enthusiasm was irresistible to new members and made him ideal for the Association’s first president. 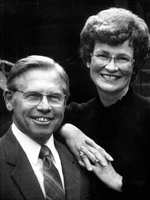 He operated Kitchens by Church in Swarthmore, Pa.
Lewis Colbert of Champaign, Ill. formed a midwest chapter in 1964, with practically no other members in the area. He worked with the University of Illinois in developing the Kitchen Industry Technical Manuals and the Certified Kitchen Designer program, and was one of the Association’s staunchest supporters. William Cranston and Fred Pence, respectively the president and engineer of Thermador at the time, are credited with invention and development of the built-in cooktop and oven in the 1940s, the two products that made kitchen dealers necessary. 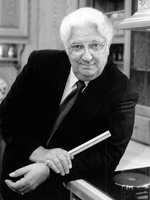 Now retired after selling his Kitchen Guild of Washington D.C., Peter V. Chadik was one of the founders of the local Custom Kitchen Dealers Association in that area. When AIKD came along, they joined it as a group. He has been one of the most spirited and active members of the group. “Doc” and “Mr. CKD” are James Foley’s nicknames in Indiana, where he was an organizer of that chapter and is considered the symbol of excellence. He was one of the developers of “Weekenders,” mini conventions at the chapter level, and has been unwavering in his helpfulness to any who need him, including competitors. He has been chairman of the Society of CKDs. Retired publisher and editor of Kitchen and Bath Business magazine, Patrick J. Galvin is known as the man who shaped the industry with his aggressive insistence on better showrooms, better profit, support for independent distributors and movement by dealers into bathroom remodeling. He has been the industry voice and the strongest supporter of all industry associations, and has promoted professionally-designed kitchens and baths in consumer magazines and a dozen consumer books. Cameron B. Gamble was the first dealer in the south to train salespersons in kitchen design and was a leader in encouraging factory and NKBA training for all. Gamble is credited with changing his market area from job-built to factory-built cabinetry and was a leader in formation of his chapter. He founded Kitchens by Cameron in New Orleans, from which he now is retired. These brothers were the first to recognize the existence of a kitchen industry and to found a magazine for it, Kitchen Business, in 1955. They were instrumental in development of the National Kitchen & Bath Conference and Kitchen & Bath Industry Show, now one of the nation’s largest shows. They have been leaders in all facets of the industry. 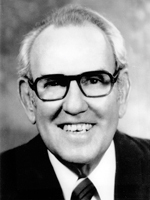 One of the industry’s great motivators and trainers, Robert E. Graul retired in 1984. He has created and developed thousands of skilled kitchen designers through the Quaker Maid sales and design school and through countless regional and national seminars and NKBA meetings. President of Jacuzzi Whirlpool Bath, Roy Jacuzzi is the one who designed and engineered the self-contained spas that are so well-known and widely-copied today. The company started making airplane propellers in 1915, then went into pumps and windmills. Jacuzzi, an engineer, has more than 20 patents in his own name. 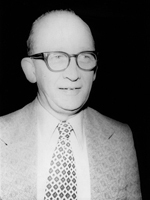 One of the industry’s most prolific inventors and innovators, Louis R. Jenn developed the first downdraft range which reigned alone for so many years. He has more than 100 patents in the kitchen and industry and in other fields. In 1948, Stanley M. Joseph developed the first fully self-contained ventilating hood for residential use, under his company name of Stanthony. In 1952, he refined it, making it the first to fit under cabinets. He made the first electric barbecue for residential use in 1956. Now retired, Joseph helps his sons run Dacor. 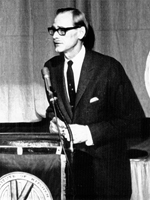 One of the hardest-working and most dedicated of the early officers, John M. Kennedy Jr. was elected third president of AIKD in 1966 and again in 1967. In 1971, he was named Time magazine’s “AIKD Man of the Year.” He sold his dealership in upstate New York several years ago and was a factory representative in Florida. He is now deceased. 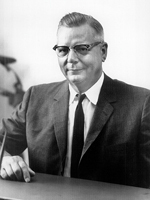 Herbert V. Kohler Jr., president of the Kohler Company, first brought “the bold look” of colors to bathroom fixtures in the 1960s. Kohler fostered brand name loyalties and has played a leading role in developing upscale fixture, focusing consumer attention on innovative bath design, and maintaining craftsmanship, quality and originality. 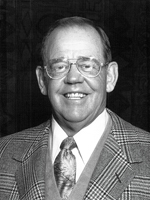 Representing Wood-Mode as Sales Vice President, Charles H. Lemmerman was one of the first and strongest manufacturer supporters of AIKD and of everything the Association was trying to do for dealers. He was tireless in his efforts to help dealers and became one of the industry’s most trusted leaders. As Consumer Editor for Building Supply Home Centers magazine, Maxine Livingston has consistently promoted kitchen and bath products as marketable and profitable to this important distribution channel. Her enthusiasm and energy are legendary, and she still attends every show to deliver complete reports to her readers. Since 1971, Rosemarie Mahaffey has toiled over the Association’s books, the longest serving member of the NKBA staff and you have to see some of those early budgets to appreciate how much of a job that has been. She has been the epitome of the dedicated worker serving her Association and its members. 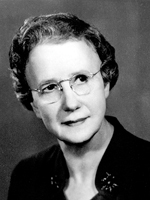 Now reportedly deceased, Helen E. McCullough was the grandmother of modern kitchen planning. In her research and work for the Small Homes Council, she is credited with the Kitchen work triangle and for countertop linear foot and cabinet storage recommendations, all used for designing today’s kitchen. 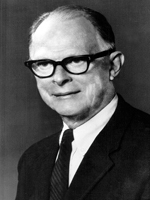 In 1969, Maurice A. Peterson, who founded M.A. Peterson Inc. in West Hartford Conn. in 1938, was the first dealer to be certified as a Certified Kitchen Designer, recognizing his hard work on the program and on the AIKD board of directors. He is now retired, but his son, Ken, honored Peterson in 1988 with a 50th anniversary celebration. The true father of the NKBA, Leon Raider, a Kitchen Kompact independent rep in Philadelphia, wrote a Letter to the Editor that was published in Kitchen Business in February 1963. It described the need for a dealer association and outlining a way to set it up. It led directly to the first meeting, and Raider served as unofficial executive secretary throughout that first year. He is now deceased. 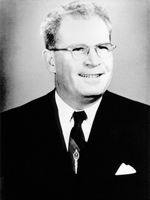 After experience with several appliance manufacturers, Fred Rexford joined Elkay as Vice President in 1957, glamorizing stainless steel sinks and leading that firm into kitchen distribution channels at a time when no plumbing manufacturers or wholesalers would talk to a kitchen dealer. Now deceased, M. A. Waimon was known universally as “Marvin,” although his name was Matthew. 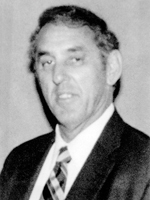 He was the sixth president of AIKD and contributed the Labor Cost Manual to the Association, but he was respected most for his high professional standards and his work in helping dealers as a manufacturer’s rep in later years.